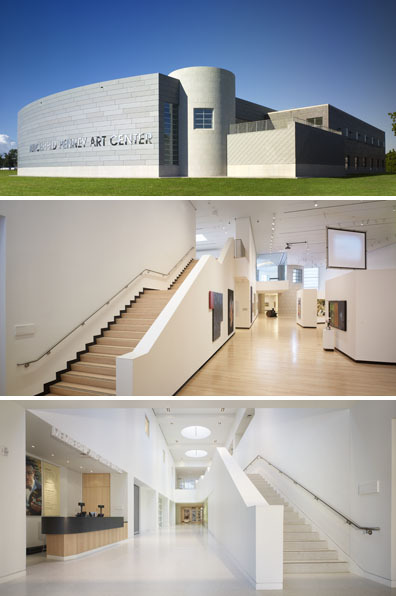 The winner of the Second Building Museums® “Buildy” Award: the Burchfield Penney Art Center at Buffalo State College in Buffalo, New York. Accepting the award is Ted Pietrzak, Executive Director, a visionary leader who guided the museum through its successful move to a new, award-winning facility designed by Gwathmey Siegel Kaufman Architects. The “Buildy” Award will be presented the evening of March 1 at 5:30 PM in the Rotunda of the National Museum of the American Indian, New York, N.Y. at the 2010 Building Museums® Symposium presented by the Mid-Atlantic Association of Museum’s. Registration to the symposium is still open and the early-bird deadline has been extended one week to February 5. Register for the conference now!